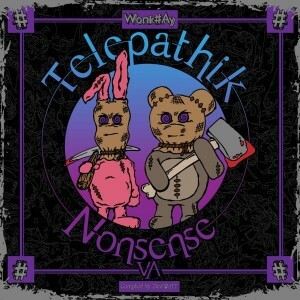 Telepathik Nonsense is the latest compilation from Wonk#Ay Records, an underground netlabel from the UK. This release explores several different psychedelic trance sub-variants on the experimental frontiers of night music: blistering hard psycore, menacing darkpsy, and hints of the ultra-trippy Swedish forest sound. The end result is peak-level mind-altering mayhem for all you screwy lunatics out there. Compiled by Devi@nTT, mastered by Morganism, and featuring graphics by IdolMonkey.